Many seniors with dementia are aware of the memory issues and cognitive decline they face, so they end up having to manage a lot of emotional stress as well. The right type of book can comfort seniors as they manage their dementia and enhance their quality of life. If you have a senior loved one who needs help maintaining a high quality of life while aging in place, reach out to Home Care Assistance, an in-home care provider Rhode Island families can rely on. All of our caregivers are bonded, licensed, and insured, there are no hidden fees, and we never ask our clients to sign long-term contracts. These six books are excellent options for your senior loved one to read or listen to. This is the first book in a series of fiction novels created specifically for seniors with dementia who love to read. It does not mention or reference dementia anywhere in the book, but it is formatted and written in a way that will still make sense to those with dementia. Book lovers who have started to have difficulty with reading will appreciate the opportunity to read a normal adult fiction book that does not overwhelm them. This practical book is great for both seniors with dementia and their caregivers. It provides a compassionate and useful guide to various activities for those living with dementia. The step-by-step instructions for crafts, activities, social events, and hobbies can help a senior with dementia maintain a high quality of life. Written by classic author Mem Fox, this book tells the story of a young boy who sets out on a quest to recover the lost memory of his elderly friend. The humorous illustrations and sensitive language make this picture book a favorite of people of all ages. It is particularly ideal for seniors with dementia to read with their younger relatives. This workbook is designed to help seniors with dementia preserve and recall their memories. Seniors can read the simple questions that are intended to trigger memories by referencing thoughts, smells, and images. It can be very comforting to a senior who is distressed by the knowledge of forgotten memories. This picture book series is ideal for seniors in the later stages of dementia. It uses bold photos to illustrate recognizable aspects of life. These books can be a great way to stay entertained, and they can also spark some memories. The challenges caregivers face when caring for an elderly loved one with dementia can seem overwhelming. One of the most challenging tasks of helping an elderly relative age in place safely and comfortably is researching home care agencies. Rhode Island families can turn to Home Care Assistance for reliable, high-quality in-home care for aging adults. We offer 24-hour live-in care for seniors who require extensive assistance, and we also offer respite care for family caregivers who need a break from their caregiving duties. Sobel wrote this book for his 86-year-old mother living with Alzheimer’s. It is intended to entertain seniors with dementia by capturing their attention and imagination. This photographic journey relies on beautiful images. Each image has short, simple captions printed in an easy to read font. It can be used as a tool to prompt memories, or seniors can just enjoy this beautiful book on their own. Keeping your elderly loved one mentally stimulated can stave off the progression of dementia. If your loved one has been diagnosed with dementia and you need additional help, consider hiring a caregiver. Caring for a senior loved one can be rewarding, but it can also be overwhelming for family caregivers who have other responsibilities they need to focus on. For these families, the perfect solution is respite care. Rhode Island families rely on our caregivers whenever they need time to rest, work, run errands, and even go on vacation. 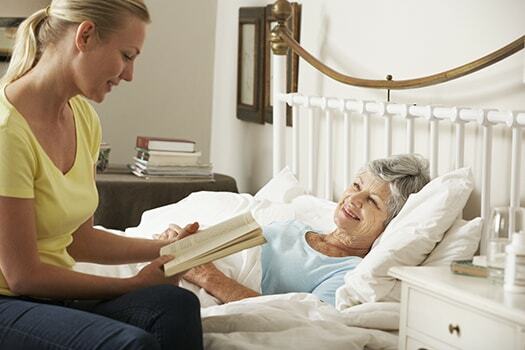 For reliable in-home care services, contact Home Care Assistance at (401) 284-0979 today.